The deployment of US and NATO aviation, ships and troops raises concerns, Russia’s Chief of General Staff told his American counterpart. In a phone conversation the two also spoke of Russian military exercises and “substantial” Ukrainian troop buildup. “Our concern is caused by an increase of US air force and the American military personnel in the Baltic, Poland, and also the Alliance's ships in the Black Sea,” the Defense Ministry said in a statement, quoting General Valery Gerasimov. NATO wargames in Eastern Europe are also “not helping” to normalize the situation, Russia's defense minister Sergey Shoigu said earlier. The first waves of US soldiers have already arrived in Poland and Latvia, after Tuesday announcement that the Pentagon is sending about 600 soldiers to Poland and the three Baltic states for infantry exercises. “If there's a message to Moscow, it is the same exact message that we take our obligations very, very seriously on the continent of Europe,” Defense Department spokesman Rear Admiral John Kirby said at the time. 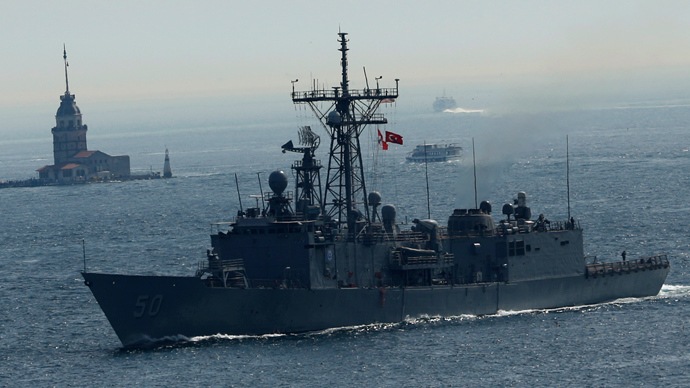 Also this week, the US frigate USS Taylor entered the Black Sea, with this NATO vessel – the French frigate Dupleix – reportedly scheduled to enter the Black Sea by the end of the week. 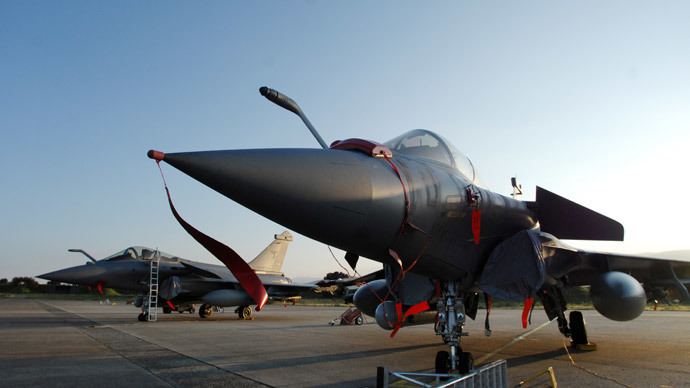 France is also sending four fighter jets to help NATO’s air patrols over the Baltics. In a phone call on Friday, Gerasimov also told US General Martin Dempsey that Ukraine deployed a “substantial group of forces” on its border with Russia, potentially capable of conducting sabotage. 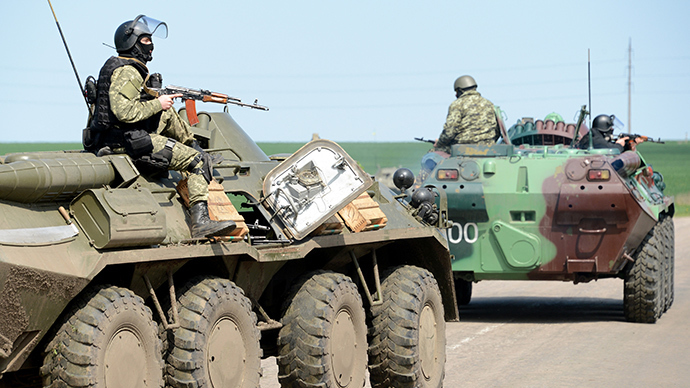 “On the Ukrainian side of the border with Russia, light mechanized border troops are operating, designed for subversive activities,” defense ministry’s statement read. The Russian commander also raised concerns over Kiev's deployment of troops to the eastern regions of the country in a so-called “counter-terrorist operation” that resulted in civilian casualties. 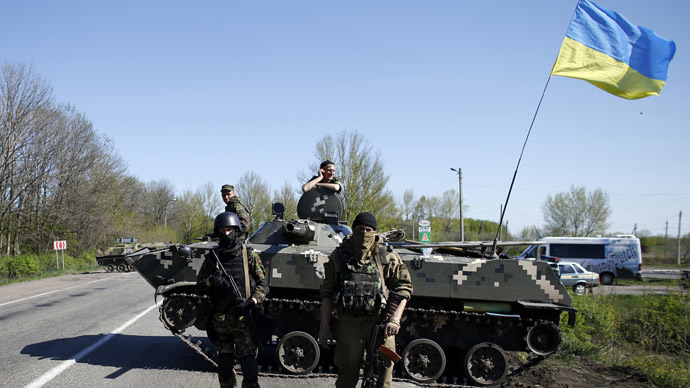 At least five anti-government protesters were killed in the eastern Ukrainian town of Slavyansk after Kiev authorities sent tanks and armored vehicles against the local population. On Thursday, Shoigu said that 11,000 Ukrainian soldiers, 160 tanks, 230 armored carriers and at least 150 artillery pieces are involved in the operation against anti-Kiev protesters. 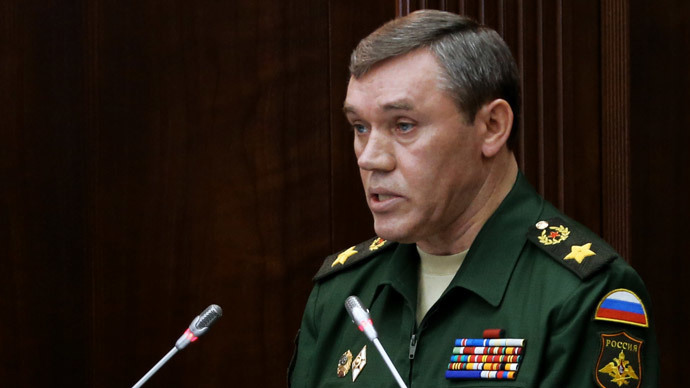 Gerasimov also informed Dempsey of the new military training maneuvers by Russia, as well as the planned flights of Russian jets in the airspace bordering Ukraine. On Thursday, Russia began military exercises near the Ukrainian border following the escalation of violence in eastern Ukraine. 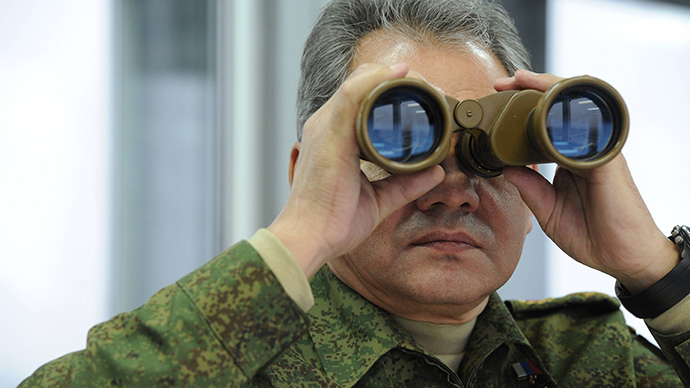 “The order to use force against civilians has already been given, and if this military machine is not stopped, the amount of casualties will only grow,” Russian Defense Minister Sergey Shoigu said. Russian drills involve march and deployment maneuvers by forces in the southern and western military districts, and separate Air Force exercises. Chief of the Russian General Staff, urged his colleague to “carefully consider Russian concerns and take steps to de-escalate the situation in Ukraine and the Russian border,” the Defense Ministry statement reads.